One of China’s most well-known philanthropists, millionaire Chen Guangbiao, has been taken to the hospital after inhaling poisoned air in Tianjin, where he was helping emergency services clear away rubble after the city’s blasts. Chen came to Tianjin on Thursday, less than a day after the city witnessed a huge explosion at the container storage station, local media reports. He wrote on his page in Weibo, a Chinese micro-blogging service, that he wanted to help with the cleanup efforts and brought rescuers and crane trucks with him. 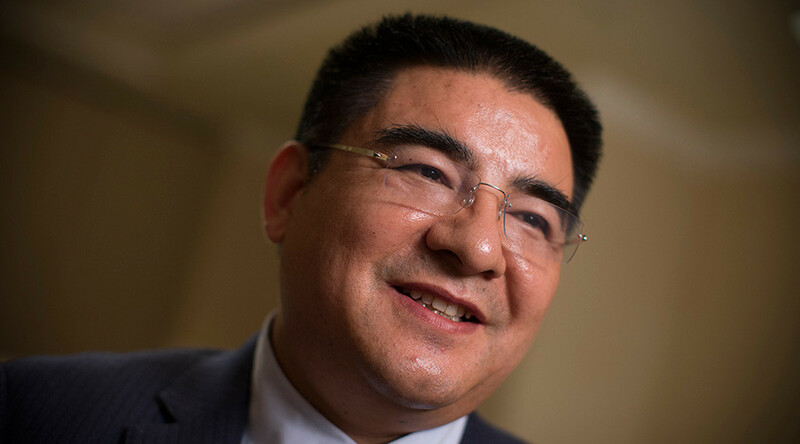 47-year-old Chen Guangbiao is the founder of Jiangsu Huangpu Renewable Resources Limited Company, and a prominent philanthropist. After the devastating Sichuan earthquake in 2008, he provided rescue services with about 60 cranes and trucks, donated about $15 million for post-quake construction and spent 54 days in the disaster zone. Chen is also known in the West for his charity dinner for the homeless in New York last year, which ended in chaos because those who came did not receive the $300 each they were promised. In the same year, he also tried to buy the New York Times, but his offer was rejected. According to Forbes, Chen’s wealth was estimated at $400 million in 2014. A series of blasts at a chemical warehouse in the Chinese port of Tianjin started on Wednesday and left at least 114 people killed, 70 missing and several hundred injured, according to Xinhua news agency. After a new wave of explosions Saturday, police began evacuating those within a three-kilometer radius. There remains a huge risk of air contamination from dangerous chemicals such as sodium cyanide.